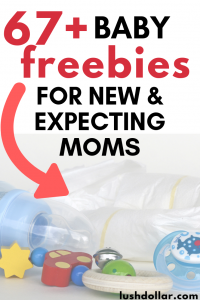 Search for “free baby stuff” online and you’re probably overwhelmed with a list of 25 freebies here and a list of 10 freebies there. While a lot of these lists are awesome, the point here is that there are A LOT of baby freebies out there, available for all and even some specifically available for low-income families. And sadly, some say it’s a list of freebies, but a lot of the items, unfortunately, are NOT free, causing quite the frustration. If I have to pay $10 in shipping, how is that free? Regardless of all this, if you’re anything like me, a freebie is always awesome, especially when no strings are attached. As a fair warning, this baby free stuff list is quite long, so if you want a specific item for free, then I recommend you use the table of contents below. All of these items are TOTALLY free, with the exception of a few (VERY FEW), but I do note it in the subheading. Oh, and NO surveys required, so no participation on your part. I just wanted to add a few because I felt the small shipping and handling fee was worth the value. NOTE: Before I start talking about the baby registries, do keep in mind that there’s no limit as to how many registries you want to sign up for, so if you want to sign up for 10 retailers, do it! Doing so will still entitle you to all of the freebies I mention below. With Amazon’s Baby Registry, you can add any items you find on Amazon and best of all, you can get FREE returns for 90 days on most items. Simply create your registry and share your link with your friends and family. Now, if you’re already a Prime member with Amazon and you start a registry, the company will send you a free Welcome Box, which is said to contain some parenting items and an even a free eBook. Most of the free stuff varies in the box, but regardless, signing up gets you one and it’s said to be filled with a lot of goodies. Check out this picture, for example, to see all of the goodies she was able to receive! Aside from being able to add anything from Amazon to your baby registry, Amazon Prime members can also get up to a 15% completion discount on eligible items and even exclusive discounts. These benefits always change, so I recommend you check out the baby registry homepage on Amazon.com to see which benefits, rewards and discounts are available at the moment. Like Amazon, if you sign up for a baby registry with Target, the company will send you a free welcome gift set, which you’re asked to pick up at Guest Services. Inside this welcome box includes over $100 in coupons and hand-selected samples. Like Amazon, these samples do vary, so it’s hard to say what’s inside. From what I did read, it could include the following items: a Dr. Brown’s bottle, Philip’s Avent bottle, Aveeno baby lotion, Up and Up (Target brand) diapers, Pampers Swaddlers, wipes, Honest diapers, Babyganic lotion, a Nuk pacifier, nursing pads and multiple coupons, including a buy one, get one free Starbucks coupon. AGAIN, this will vary. Other perks include a 15% discount on everything left in your registry eight weeks before your baby is due and easy returns and exchanges for up to a year after your due date. With more than 1,800 locations, Target could be ideal if you want to combine Amazon.com for the savvy online shoppers and Target for those who would rather shop in person. Sign up now for a free baby registry at Walmart and upon doing so, they will send you a free gift box which is said to include a variety of samples and coupons from top brands such as Huggies, Dove, All and Nuk, to name a few. The great thing about the Walmart baby registry is that you do not need to sign up in store; rather, you can simply follow this link and start the process right now. When complete, they will mail the box to your home. Register with buybuyBaby and the retailer will include a FREE goody bag, which is said to be filled with coupons and random samples. And just like Target, you will be asked to come to the Guest Services desk to pick up your free bag once you sign up. It’s free after all! Other perks include a 15% completion discount, free shipping rewards, an interactive checklist, registry analyzer and a thank you list to help you thank your friends and family later. Some soon-to-be mothers have had success with their local Motherhood Maternity. While you cannot redeem your goodie bag online, some have stated they were able to get a freebie bag, which was said to include a baby bottle, coupons and random samples. To receive it, you just had to ask an associate. Your results may greatly vary with this one, but it doesn’t hurt to check the next time you stroll by one. If so, join the Publix Baby Club to receive saving offers, free samples and even personalized emails. On occasions, they may shut down the program registration to new members due to demand, but they do open up registration from time to time, so it doesn’t hurt to check if interested. The Baby Box University is offering a universal Baby Box education program that’s slowly expanding across the world, including the United States. In order to qualify, however, you must register for a free education program and complete a quiz that covers health and safety topics on the website. Plus, you need to live in the area where they currently are operating. Once complete, the box is said to be filled with a variety of samples, such as baby wipes, men’s/women’s health products, laundry pods, diaper rash cream and more. If you have a Baby Box University in your area, you can pick up a box for free when they have one in stock, or you can also choose the shipping option, but a small fee will occur. 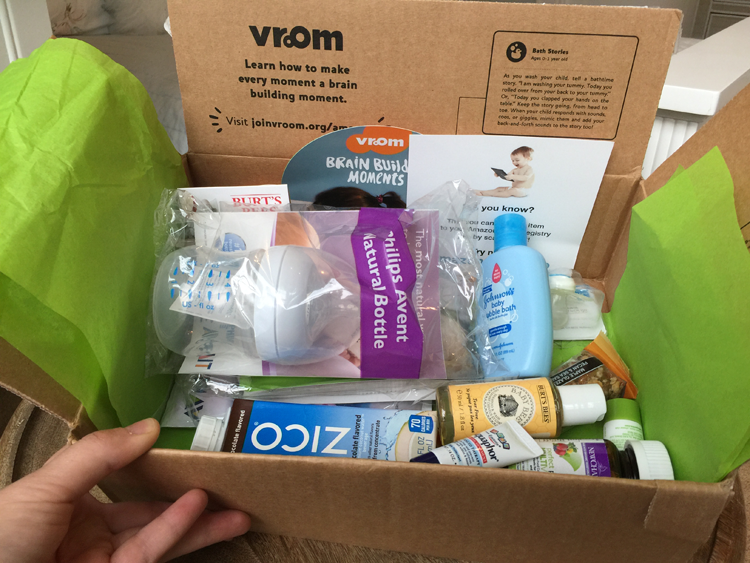 The Hello Baby Box by Babylist.com is said to be filled with a variety of samples and offers from top brands and is only available to Babylist.com registry users. In order to get a box, you do need to pay a $4.95 shipping fee; however, the company will off you a $10 credit to the Babylist Store. You must also sign up for a free registry account as well. If you plan on using this company for your registry, then it may be worth the small $5 investment. The Honest Company is willing to send expectant mothers and mothers of today a FREE trial, which includes five diapers and 10 wipes, but the company does ask that you spend $5.95 on shipping. The company is known for using no chemical bleaches, medical-grade cloth and believe in biodegradable products. Inside the box, however, if you add up the total, the same set sells at other retails for more than $15, making it a really great value. I know this isn’t a free option 100%, but it’s a great value as you can test out the products if you’re not familiar with the products and do not want to commit just yet. If you do sign up, remember to cancel your subscription as the company will auto-enroll you and continue to send you samples unless you cancel. If you register with most of the major diaper companies, almost all of them will send you a free sample, usually one to two diapers, plus a few coupons you can use in the future. Now, just joining these e-mail clubs doesn’t necessarily mean you will get free diapers guaranteed. If you do not see any samples in the next few weeks, do not be afraid to either call their customer service or even email them for samples as many mothers have had awesome luck getting free samples by e-mailing. Just let them know you’re looking at different brands and you’re a new parent who wants to see which diapers will work best for your newborn. You would be surprised at how many of these companies will say yes and send you a few samples! I found EverydayFamily.com, a company which will reward you with a plethora of free samples, including diapers, formula, breast pumps and more just for signing up for a FREE account. These samples seem to come from multiple brands and they do all of the research for you. Aside from the samples, they also show you ways to get other free baby-related items, such as magazines, coupons, and other ongoing rewards, via their constantly sent out newsletter. The company is rated an A+ by the Better Business Bureau and may be worth joining if you want the company to continue to send you baby freebie offers directly to your e-mail inbox. Plus, from time to time, you can be entered into a contest where you may be able to win a year’s worth of diapers, for instance. ECO by Naty will send you 10 free eco-diapers, ranging from sizes one to four — your choice. Just add the freebies to your checkout, register on the website and only pay a small shipping fee. If you cannot afford diapers, then consider talking with the National Diaper Bank, a non-profit network designed to help low-income families. As the bank continues to expand, so does its network, meaning there could be a bank near you that’s willing to help provide you with diapers. Click on the link above and contact your local diaper bank for more information on how you can qualify. As all states will have its own organizations and groups which are able to help you with your diapers, it can be hard to list the hundreds of agencies on this page. Instead of doing so, I highly recommend checking out NeedHelpPayingBills.com, especially its “free diapers’ page. Here, the website did an awesome job listing the hundreds of organizations, broken down by each state, to show you how you can get help with free diapers. If you need help and you truly think you qualify, I highly recommend you contact some of the organizations on that list to see if they are willing to help. With a newborn, chances are you’re going to find yourself at the doctor’s office quite often. The next time you’re there, simply ask your doctor if any samples are available! Since most of these companies send doctor’s offices a myriad of samples, ranging from formula to diapers, your doctor will be more than happy to provide you with some. AND if you’re reading this before giving birth, be sure to ask the hospital for samples as well. While most hospitals will already send you home with a sample bag, it doesn’t hurt to ask if you do not get one and/or you do not see any diaper samples in your goodie bag. If you plan on continuing to use a specific diaper brand, then I highly recommend you sign up for the company’s loyalty programs as the diaper companies will continue to reward you every time you make a purchase. The Pampers Gifts to Grow Program and Huggies Rewards, for example, will eventually send you a free diaper coupon once you amass a certain amount of points. So if you’re going to make the purchase, you might as well earn points toward a free box of diapers in the future. To use these programs, it relatively simple. Create a free account on the website and every time you make a purchase, look for the code inside of the box and enter it in your account. As I write this, Huggies will give you 500 points just for joining, while Pampers will give you 100 points after registering. While you cannot get free diapers through Amazon Mom, you can earn $10 per referral once they make their first purchase. Plus, as an Amazon Mom customer, you can earn exclusive discounts, often as much as 20% off! If you feel you do not qualify for free diapers or you already exhausted the other methods, then consider signing up for research groups which pay you to take surveys. Signing up is free, and in fact, companies, such as Swagbucks, will give you $5 just for joining! Once you’re registered, start taking surveys and completing the offers on your dashboard to earn points, which you can then turn into either cash or Amazon.com gift cards. It’s 100% free and extremely easy to do. Just answer questions honestly and the companies will reward you for research purposes. While you do not have to buy diapers with your newfound cash, it’s a very easy way to earn $5, $10 or even $20 by the time you go to bed tonight. It all really depends on how hard you work at it. 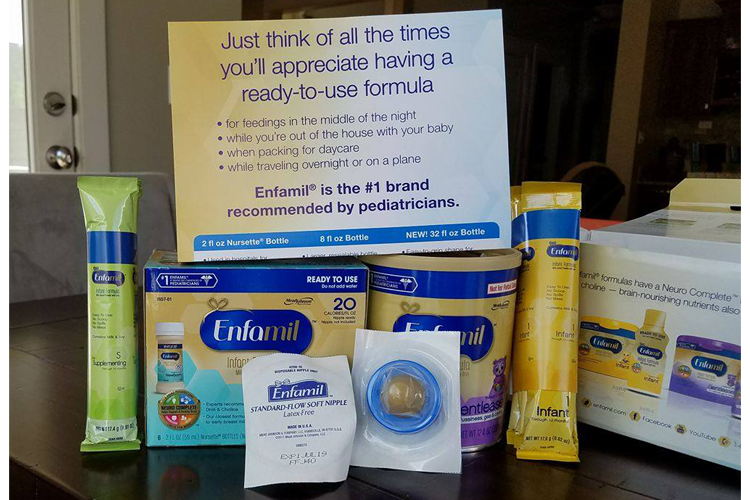 Enfamil, one of the world’s largest baby formula manufacturer, offers over $400 in gifts and a chance to win formula for a year via its Enfamil Family Beginnings program. Signing up is 100% free and is a great way to not only get free formula coupons but other great rewards throughout the year. The Krazy Coupon Lady had a picture on her website showing us what’s included inside of a welcome kit. Nature One offers a sample program which allows you to sample just about anything on the website. To take advantage, the company asks you to select a sample SKU, click on the green “Add Free Sample” button and take a quick survey. Once you complete it, you can then check out and receive your free 12.7-ounce can. Now, granted, this isn’t 100% free since you do need to pay a small $5.95 shipping fee, but the value, to me, is highly worth it. If you do not mind picking up the phone, call 1-800-408-7277 and ask about the free “Gerber Baby Nutrition” kit, which is often given to local hospitals and doctor’s offices. When talking with the representative, see if you can get a sample kit sent to your home as many people have had luck in doing so. If the rep agrees, this kit includes not only a can of formula, but it will also include a onesie and even exclusive coupons. Most had luck by calling, so if you try to e-mail them, don’t be surprised if they decline your request. Join the Nestle Baby Club and Nestle will send you a free formula sample and other nutritional samples the company currently offers. Aside from these bonuses, the company will send special offers, exclusive coupons, a feeding guide and much more throughout the year. 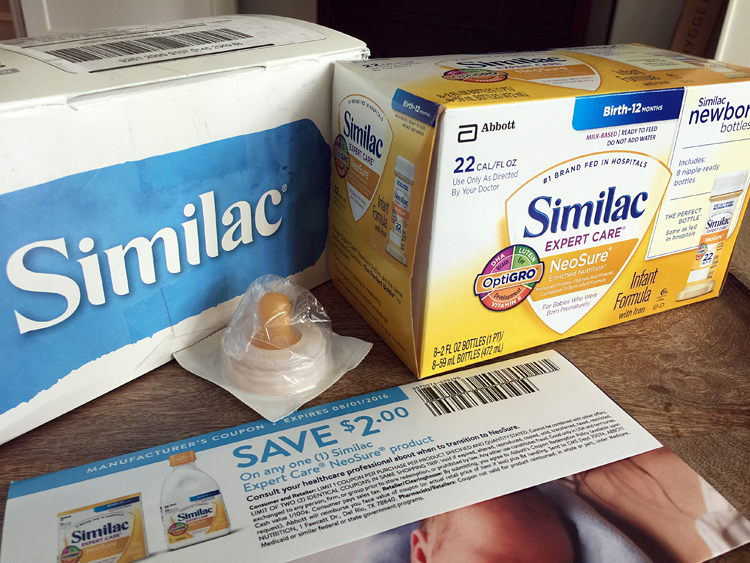 Just like Enfamil, Similac, yet another popular formula brand, offers up to $400 in benefits as well, when you sign up for the Similac Strong Moms program. In this picture I found online, it appears the inclusions are different, but you can expect to receive some awesome coupons and a small random selection of formulas. Registering is quick, easy and samples are sent out right away once you join. Sign up for StoreBrandFormula.com and the company will send you a baby formula coupon, helping you save more than $5. In some cases, some even noted you could print the coupon twice, maximizing your savings! When signing up, do not be surprised if the company states the coupons are out of stock since the company is quite the hit in the freebie world. To learn more about StoreBrandFormula.com and their mission, you can do so here. The next time you’re at your pediatrician’s office, see if they have any samples available for you to take home. Since these brands often want you to get hooked on their product, they will ship samples to doctors throughout the country, and while your doctor may give them to you, in some cases, you may have to ask for a sample. Even in some cases, they may be able to offer you a free coupon which you can then redeem at a local retailer. If you’re reading this before you’re at the hospital, be sure to ask the hospital for free samples as there’s a good chance they will have some. Most hospitals will usually give you the samples without asking, but just in case, it never hurts to ask. As long as you financially qualify and meet the requirements, be sure to apply for the government program, WIC (Women, Infants, and Children). Once you sign up and are approved, this program will supply with free baby formula and other necessities. To see if you qualify, visit the official USDA website. Aside from WIC, the Medicaid program, again, if you qualify, may be able to help with reimbursement as well, but this will vary greatly from state to state. Through the Helping Hands program, parents may qualify for a one-time shipment of a particular formula product, either for free or at a greatly reduced cost. It’s also a great program which can help point you in the right direction for help if you were to need financial assistance for other products. Aside from WIC, some local food banks may carry baby formula for those in need and may be a great choice if you do not meet the requirements of WIC. Typically, these food banks will ask no questions as you simply show up and take what you need. More than just food, call a local food bank ahead of time so that you’re not wasting your time to see if they do carry formula at the time of visiting. To find a food bank near you, I recommend checking out FeedingAmerica.org. Like the food bank option, pregnancy centers may also be able to help in regards to helping pay for formula, diapers and other baby-related products. These centers can also help provide services at no cost as well, including free tests, counseling, ultrasounds, support groups, referrals and so much more. Just like a food bank, there are probably a variety of these centers in your area, so to find one, I recommend you check out FindPregnancyHelp.com to find a center nearby. If you live in a state with a Meijer (primarily Midwest states), you can receive prenatal vitamins at no charge via the Meijer pharmacy as long as your doctor is willing to write a prescription. If you’re able to get a prescription for one of the following, then Meijer will fill the prescription at no charge. Keep in mind, however, that Meijer may change the type of brands they prescribe, so to be on the safe side, call the pharmacy before asking for a prescription to ensure your prescription will be free. Don’t have a Meijer nearby? No problem. While not free, Target and Walmart may be able to help you, but their options will cost $4 — almost as good as being free. Mentioned once again, talk with your doctor as there’s a good chance he or she has a stockpile of free vitamin samples. In some cases, it could include as many as 30-60 capsules. And since you need to visit the OB/GYN almost monthly, it’s a great way to keep your stockpile stocked if your doctor doesn’t mind handing them out every time you visit. Check with your local health department to see if they offer prenatal vitamins at no cost as most will carry them and give them away free of charge. If available, the restrictions will vary, but it doesn’t hurt to check! As mentioned on the list already, many pregnancy care centers in your area will be more than happy to offer you free prenatal vitamins. To find one, I highly encourage you to use FindPregnancyHelp.com to locate a center near you. If you qualify for Medicaid, then your medical card should cover your prescription. Check with your doctor before he or she writes the prescription to make sure it’s eligible. The Affordable Care Act, otherwise known as the ACA, as well as most other health insurance companies, WILL cover breast pump purchases, simply meaning you do not have to pay a cent out of pocket. With some plans, the accessories will be included as well! 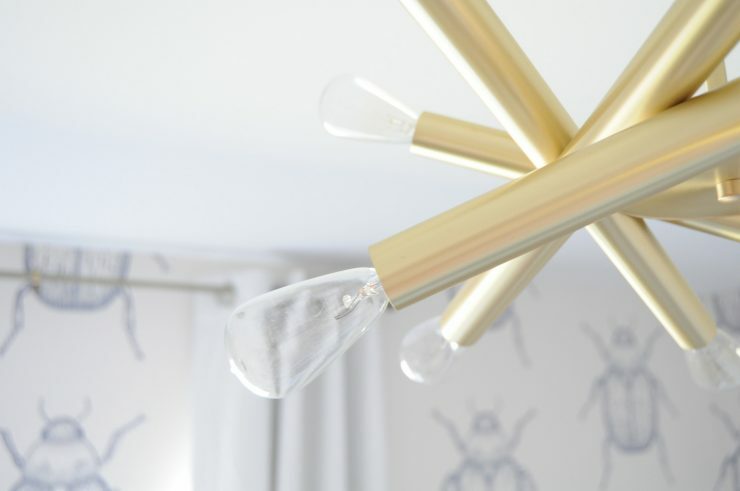 However, before you get excited and make your purchase, you will want to be certain the model you’re looking to purchase will be covered as restrictions will apply. To know for certain, be sure to have your insurance policy information readily available and talk with your insurance company directly if you have any questions in regards to your coverage. With hundreds of policies on the market, they will all vary, so it’s hard to say which company will cover which breast pump. Many Safe Kids coalition groups throughout the United States offer either free or greatly reduced car seats. To see if you qualify and find a coalition near you, visit the official Safe Kids website. The United Way has been said to help get you a car seat at no cost in no time as long as you qualify. Call 211 and simply state you’re in need for a car seat and the representative will be able to assist you. Reading online, some people had a lot of great luck at their local health department as long as they sat through a 30- to 60-minute car safety class and met the eligibility requirements. Upon completing the class, the department will then reward you with a free car seat or in some cases, a heavily discounted one. This WILL vary from city to city, so be sure to check with your local health department for more information. In the case you do not have a Safe Kids coalition nearby, talk with your local police or fire department as they will be able to direct you to a local resource. Like the police or fire department, your local hospital can give you a list of local resources. As all areas vary, so do your resources, and oftentimes, the hospital is your best option. If you haven’t given birth yet and feel you will not be able to afford a car seat, talk with your hospital ahead of time to work something out. Many times, the hospital can provide a car seat, but you will have to prove your income in most circumstances. WIC, the Department of Public Health and similar groups can all point you in the right direction and/or even help you with financial assistance as well if the above-mentioned ideas fail. NOTE: NEVER purchase a car seat on Craigslist, eBay, a Facebook Group or anywhere, aside from a reputable retailer. Since the history of these car seats are unknown and your child’s life is at risk, doing so can greatly increase your child’s safety. Always purchase new or acquire one from a reputable group via one of the methods mentioned above. Since 1998, the Cribs for Kids organization can help connect you with a provider who is able to provide your family with a free portable crib as long as you meet the minimum income requirements. Their goal is to help fulfill their mission by providing families with a safe sleep education and a safe sleeping environment for your infant. To learn more about the program, visit the official website at CribsforKids.org and click on the top right corner of the map near the top to see if there’s a location near you. Input your zip code and find a partner nearby to start the process. To date, the company works with more than 950+ partners throughout the United States. The Dolly Parton’s Imagination Library is an amazing program which sends a free book to ANY household as long as the program is available. It was founded in 1995 by the country superstar, Dolly Parton, and she wanted to develop an organization which helps preschool-aged children develop a love for reading, even if their families couldn’t afford the books. Once you sign your child up for the program, you will continue to receive a book once a month in your mailbox until your child is five years old. That’s a total of 60 books, all for free! The program has no eligibility requirement and is truly 100%. I cannot recommend it enough! If you like the idea of free books being delivered to your doorstep, be sure to check out 38+ ways to get free books at your door by mail with no strings attached. While it isn’t a physical option, the Kindle store has quite a free baby books you can download for free with no strings attached! Simply follow that link and download the book title immediately to your digital device. I have found that as long as you have a tablet, your child will like it just as much as a physical book as many of these books have colorful illustrations. And while you can use a kindle, most models will not produce any colors and may not be as entertaining. Your results will vary, however! Be sure to check out this Kindle freebie list often since authors continue to add baby books for free quite often. The Kindle tip mentioned above is available to anyone, but if you have an Amazon Prime account, then you may want to check out the Kindle Owner’s Lending Library since your selection will be much greater. If you’re unfamiliar with the program, Prime members can choose from more than 800,000 books, including baby themed and any other genre you can think of. Simply follow this link, check out of a book of choice, and when you’re done, return it back to the digital library. Again, if you’re a Prime member, this lending library feature is part of your membership! Like the Kindle, FreeKidsBooks.org has a variety of downloadable children books you can download right away to a digital device of your choice. Again, they seem to work best on a tablet, but the list is always changing, so be sure to bookmark this website and keep coming back for more updates! The Little Free Library, as of this publishing, has more than 75,000 locations. Working just like your local library, the Little Free Library works in the same way, wherein you can visit a location, grab a book, swap a book or even donate a book. The library doesn’t close, no one is there and you simply show up to the box as it works on the honor system. Grab a book, donate a book or do both. If you want a free book for your little one, this is a great cause you can continue to support as your little one continues to grow. Touching on the Little Free Library, don’t forget about your local library as they offer a TON of valuable books, DVDs, audiobooks and so much more all for free. Even if you do not want to go to your local library, that’s fine since many libraries across the United States works with Overdrive and Hoopla, a massive database which allows you to download eBook and audiobooks for free. And you would be quite surprised with the selection. Another electronic database, the Project Gutenberg offers tens of thousands of free eBooks. Again, if you do not mind reading your little one a digital copy, there are a TON of book options here that you can download legally. Like the Project Gutenberg, StoryJumper.com offers a variety of books you can download for free. Here, the books are created by the public, but you can view the ratings and how many times the book was viewed before you download it. This can give you an idea as to what books are a hit and which ones are not. If you like the book, then you can support the author and purchase a paperback or hardcover for home. Parents Magazine, as you can tell via its title, is all about parent related things. Ranging from pregnancy to the big kids, the magazine will grow alongside your baby. If interest, Mercury Magazines offers a subscription for free as long as you qualify, but the supply may be limited at the time of signing up. To find out if you do, you can follow this link to learn more. No credit card is required. Via ValueMags.com, you can receive a free 12-month subscription to Working Mother. Keep in mind, however, that this offer does expire occasionally due to the demand and may not be available. This national magazine helps working mothers balance their personal and professional lives, showcasing the reader, not celebrities. Did you know that Gymboree offers classes? If not, they want you can build a “confident learner” by booking a free class with no strings attached! Here, classes start at the infant level, as young as 1 month old to as old as a 5-year-old preschooler. To learn more about the programs and what classes are available for each age class, refer to the link above to see what the company can offer you. The first class is free and no commitment is necessary. Kindermusik offers music classes for newborns to children to seven years old. This early childhood program teaches your children about music and generally holds a class once a week. If you’re interested in testing a class, however, many of the locations we checked out did offer a free introductory lesson to see if your child would like it. If you’d like to continue, then you simply pay a monthly fee and can attend once or more a week, depending on the local class schedule. As you may or may not know, Craigslist has a “free” section that you may want to explore to see if anyone is getting rid of any baby-related item. For one, you will need to travel to the location in order to pick up the freebie, and sometimes, it isn’t explained as advertised. It could be dirtier, smellier, who knows! Secondly, GOOD things go fast, so you may have to keep refreshing daily to find something good. A lot of people like to take these freebies and flip them to make a quick buck. Lastly, if you’re going to look out for freebies, remember, it’s wise to steer clear of anything that may harm your child, such as a car seat or crib. It just isn’t worth the risk. If you have the time, open up your local freebie section and just use baby-related keywords to see what’s available. The Freecycle Network works just like the Craigslist free section, but the biggest difference here is that you can create a wanted ad if you were looking for particular items. So if you had something in mind and didn’t want to pay, you could always post an ad to see if anyone is willing to offer you what you want. Or if you so choose, you can browse the listings in your area as well. If you’re not part of a local Facebook Group for your city, then I highly recommend you do so as it’s a great way to not only keep in the loop on local news, but it’s a great way to see what people have for sale. In some cases, local neighbors may give away freebies, while others may request it. Like Craigslist and the others, you have to be fast as some people live on Facebook and will reply within seconds. 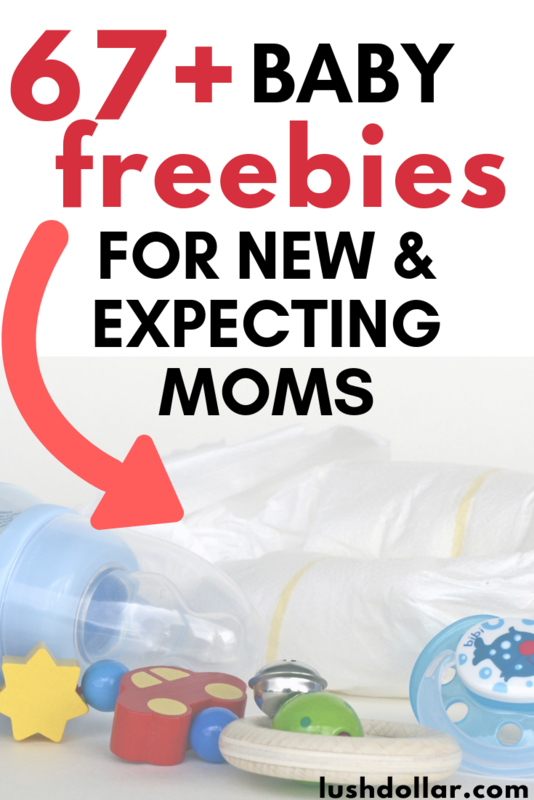 If you are strapped for cash, then it doesn’t hurt to explain your situation and request baby-related freebies! You never know who may be willing to donate some of their baby goods they no longer use. I tried my best to make sure everything on this list was 100% TOTALLY free. Yes, I did include a few items that required a small shipping fee, but I really feel the items you get was well worth the small charge. In my opinion, your best bet for the nicest freebies would be via the baby registries. If you plan on creating one, then I highly recommend you ask for the free goodie bag or make sure you get it because you deserve it! It’s an awesome way to sample products and discover new items you may have never tried before. This list is constantly going to change and I will try my best to update it. In the meantime, if you have any baby freebies you want to add to it, I would love to hear about it!